A special blend of fine black teas is combined with organic spices including cinnamon, cardamom, ginger, cloves and a touch of black pepper. The result is a tea with an exotic aroma and a delicious flavour that is refreshing to drink. According to the Indian system of health and philosophy known as ayurveda (‘science of a long life’ in Sanskrit), these spices can help with digestion. They are also said to have properties which help refresh the body and mind, bringing balance to the whole being. Best brewed with freshly boiled water and left to infuse for 2 - 4 minutes. Add sugar or honey, and milk to individual taste or enjoy on its own as a deliciously different tea experience. Try it iced or frothed with milk to make a delicious latte. 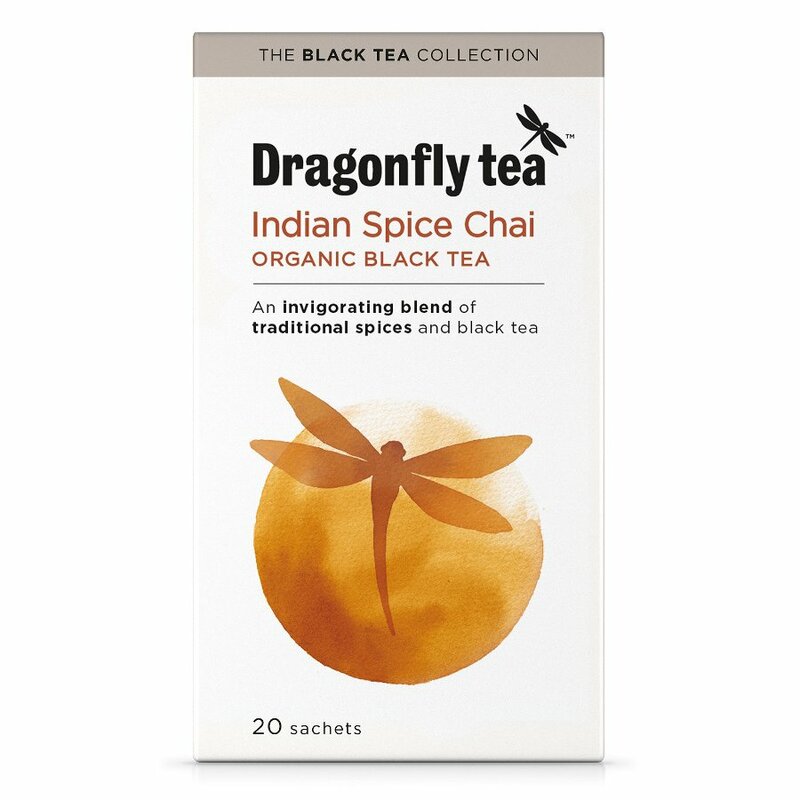 The Dragonfly Organic Traditional Indian Chai - 20 Bags product ethics are indicated below. To learn more about these product ethics and to see related products, follow the links below. I ordered this tea several times now. really nice flavour of different spices. Only the second brand of chai I've tried but the nicest by far as it's so full of flavour. The other brand was too weak in a mug. This is great without being too spicy. Really nice in a big mug brewed with a ginger tea. 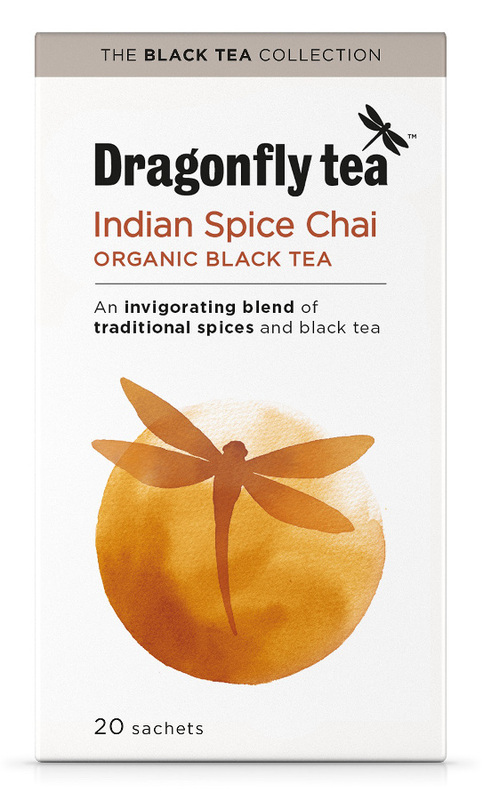 There are currently no questions to display about Dragonfly Organic Traditional Indian Chai - 20 Bags.